In years gone by, broadcasting a video meant being able to gain access to a TV channel but with the developments in the internet, it’s now possible to create an online presentation too. But a true video broadcast is done with the help of professional equipment in order to ensure that the resulting stream is slick, seamless and high quality. Here are some ideas about the equipment that’s needed in order to create the most effective video broadcast possible. You can stream live from all kinds of equipment, including some smartphones too, but to provide a quality broadcast of a sufficiently high standard, it’s necessary to have a good video camera to start with. HD images have transformed the world of TV and have translated across onto the internet too. Having a video camera which is enabled for HD one of the most fundamental requirements for any video camera. The good news is that HD image quality is available on many types of video camera, including those which are handheld. It doesn’t need to be a large and unwieldy camera; even small models can be packed full of the features which will guarantee the end video broadcast is slick and of the highest quality. You may need to ultimately invest in extra lenses as well as an external audio system but for the savings and overall economy you may well feel this is worthwhile. The sound quality is almost as important as the visual quality; some might argue it’s an even more vital component. There are two different ways you could tackle this. The first option is to simply rely on the capture of audio on the video camera you are using; those equipped with HD technology typically are capable of producing a decent audio track too. Those using a full digital card offer the best results. If you plump for this option, you will still require an audio mixer, running as an intermediary device between the microphone and the camera, allowing you to mix live audio as and when you want. The second option is to use a stand-alone system for audio, recording it as a separate file. Although this inevitably involves extra work, the end result is far superior. The post-production work will also take slightly longer as you’ll need to sync it with the captured video. The sound is undeniably cleaner however, so it’s up to you as to whether you have the time and inclination. No matter what the quality of your audio recording equipment, if you don’t have good microphones the sound on your video broadcast will be shocking. 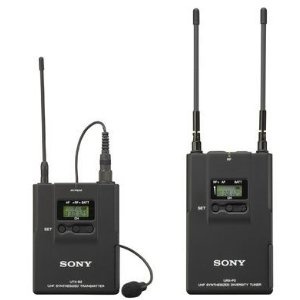 Shotgun microphones using a boom pole is a standard requirement but you may also benefit from some wireless lavalier microphones too. This can eat up a chunk of your budget but don’t be tempted to skimp on quality here because it will show in the end result. If you were in a full professional setting, you would have the benefit of controlled lighting which could easily be adjusted. Unfortunately for most amateurs looking to create a video broadcast, this kind of luxury isn’t available. You will however still need some kind of additional lighting but the type of broadcast equipment you need to invest in will depend on the type of video you plan on shooting. Documentary-style work could work perfectly well with a multi-function single light set-up but for larger scale recordings, you will need a more complex rig, such as an HMI kit. Creating a video broadcast is now a feasible possibility for a much greater range of individuals operating on an amateur basis, as well as professional. Having the broadcast equipment described above will ensure that the end result is high quality and as effective as possible.